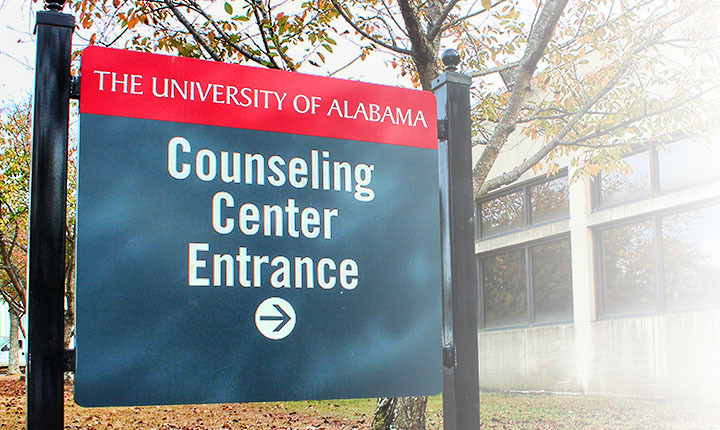 The Counseling Center helps students achieve academic success and personal growth through quality brief counseling and psychological services, outreach, and consultative services, and the training of mental health professionals. Students know the Counseling Center for its outstanding counseling services and resources, as well as innovative programs including Stress Free Daze, which provides an opportunity for students to reduce their stress before finals week each semester. The Counseling Center also offers information on how faculty, staff, parents, and others can support their students, specific information on helping students in crisis, along with further information on self help. Come to 3000 South Lawn Office Building (1101 Jackson Avenue) or call 205-348-3863 during operating hours, or call the UA Police Department at 205-348-5454 and ask to speak with the on-call counselor when the center is closed. You may also text BAMA to 741-741 to text with a trained volunteer. We are a community which cares about and looks after each member. 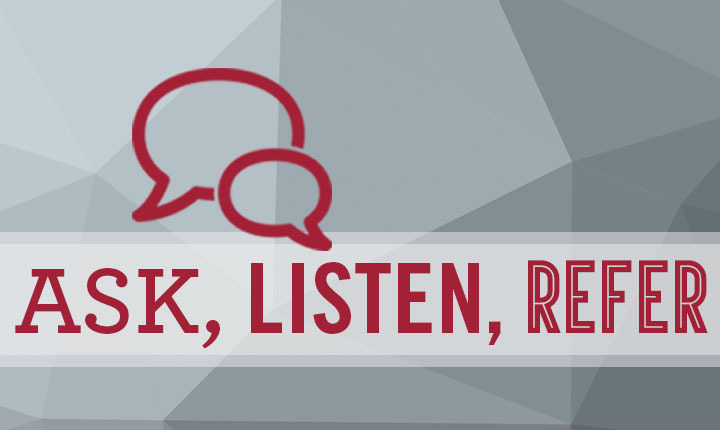 One way we can do this is by taking a free 30-minute training course on suicide prevention called Ask, Listen, Refer. You may print a certificate of completion at the end of the training. 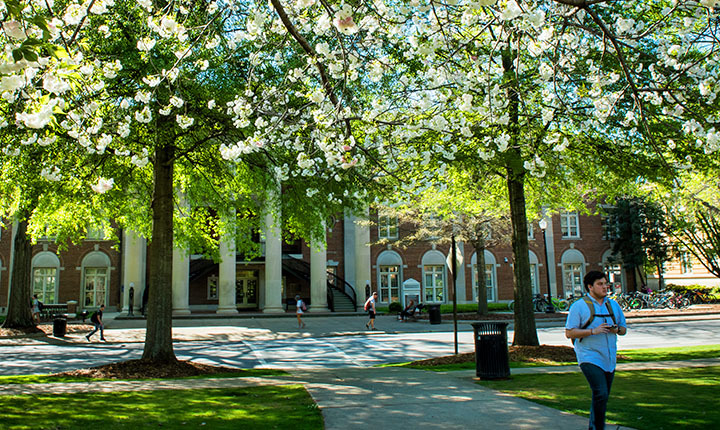 Go to a free online self-help module for UA students. Find help for topics such as anxiety, interpersonal relationships, depression, pain management, and substance use. Use your Crimson email account to log in.